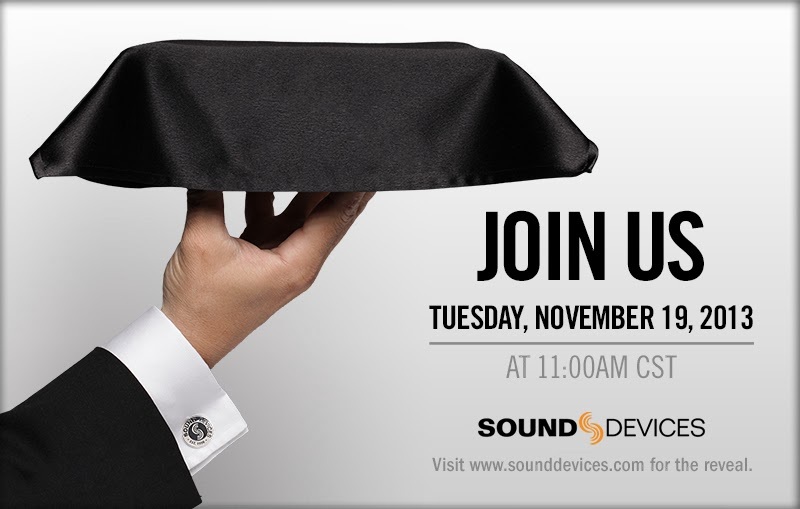 Sound Devices pulled away the satin cover today to reveal the 633 mixer/recorder. Like a Herve Villechaize to the 664’s Ricardo Montalban, it looks like a truncated, but nearly identical, version of the larger model. 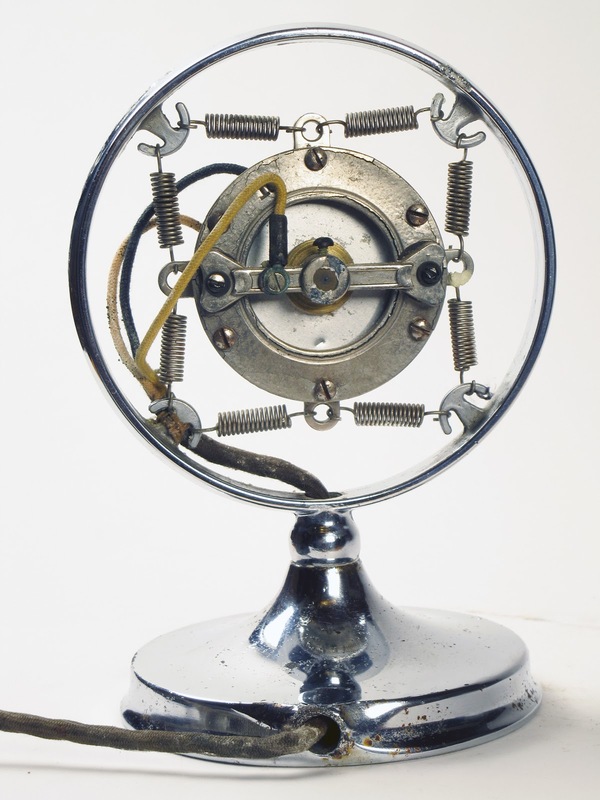 Since the advent of microphone use, suspensions, or “shock mounts” have been necessary. 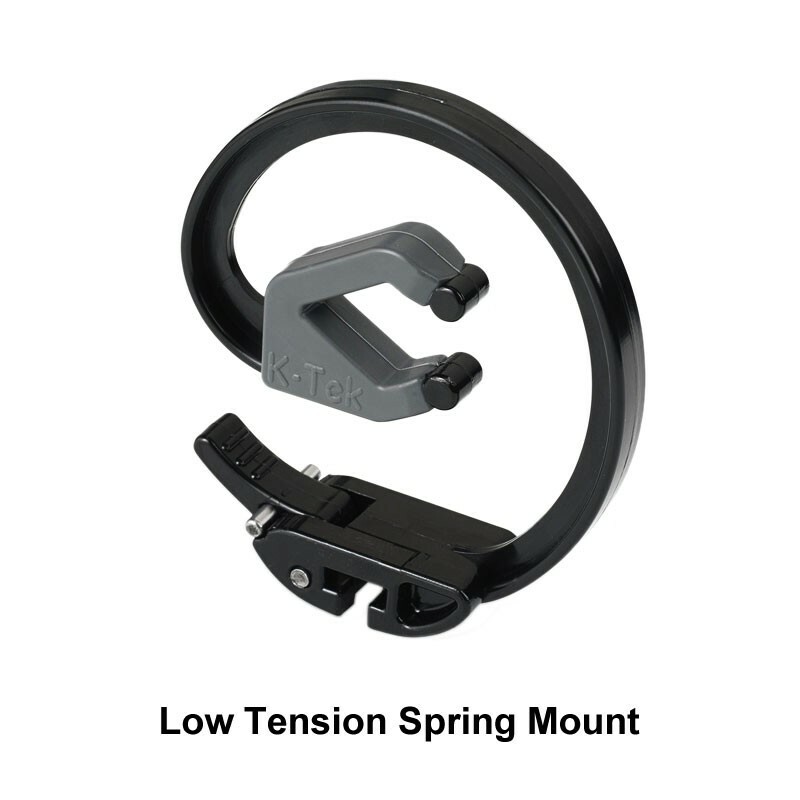 A good shock mount must provide a solid grip, excellent isolation, and a certain amount of compliance in a delicate balance. 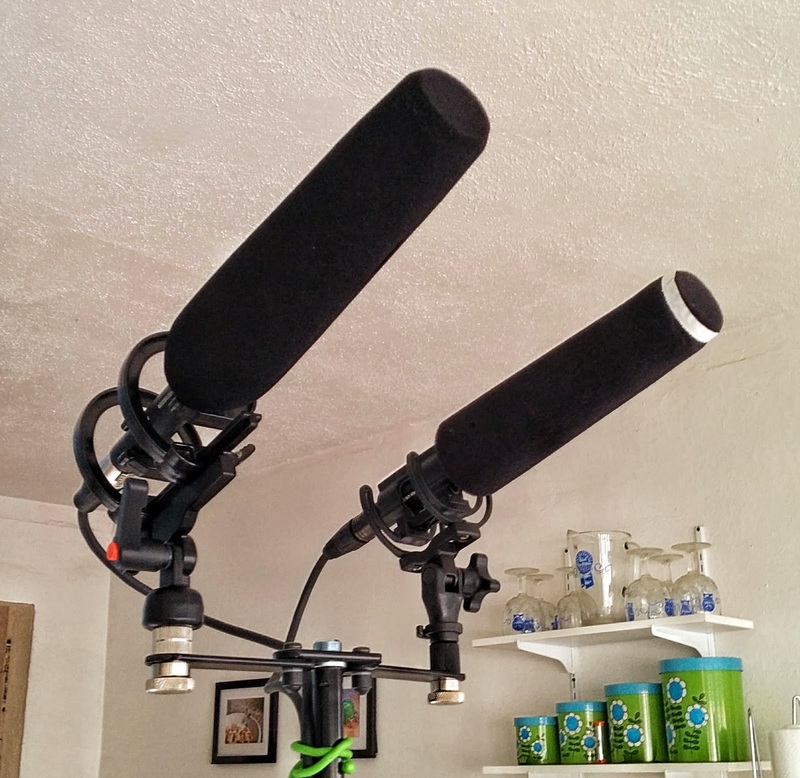 This balance will vary between mics and applications. The more sensitive you make a mic, the more it picks up unintended sounds, such as handling noise. If your mic is out on the end of a long boom pole, and in motion, isolation is key. While key, it isn’t the sole factor. 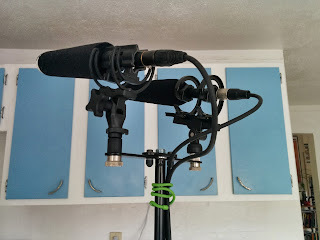 Place the mic in a nice web of springy, compliant materials, and it will be “floated”, with most thumps from the pole dissipated by the mount. "Good Evening, and welcome to American Slinky Corporation's Variety Hour!" But if it’s overly compliant, then a heavier mic will travel more, either smacking the edges of the mount, or wobbling to and fro before settling. And while a foam windscreen will diminish air speed over the diaphragm, its inertia becomes a factor: swing a mic vigorously enough and you'll hear the diaphragm itself in motion, generating unintended sound. K-Tek, long known for their boom poles, has introduced the Nautilus. A groundbreaking, award-winning design, it features suspension arms made from a proprietary composite material in the form a spiral, which, according to the website, provides “3 dimensional isolation”. The arms slide onto a T-shaped mounting rail, where a small lever locks each arm in place. The fact that it uses a locking arm to secure it means it has the freedom to be placed anywhere on the rail, accommodation just about any length of microphone. 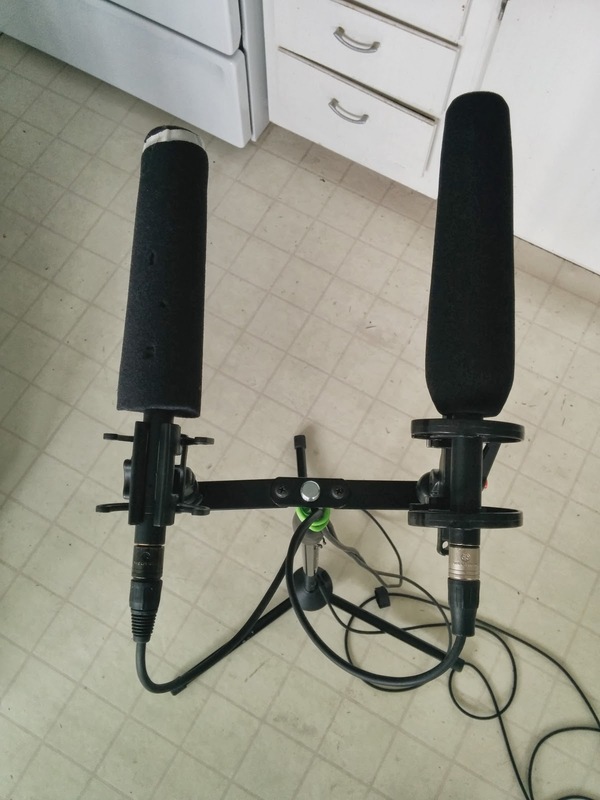 For the heavier mics, they suggest adding a third suspension arm. Each Nautilus ships with two sets of suspension arms: a grey, high-compliance set, and a black, low-compliance set. Since there would be too many variables to test each shockmount individually, I tried my darnedest to come up with a process whereby I could test both mounts simultaneously. Since this blog is about sound for picture, I chose short shotguns (very common between film-style and reality production), and a model that runs a little heavier than most, the MKH-416. For comparison, I used the Rycote InVision Broadcast HG MKIII, which is intended for heavier mics in outdoor use, and the black, low-compliance set of K-Tek arms. The Nautilus is conveniently threaded for a ⅜ 16 mount, found on just about every boom out there. I placed a stereo t-bar onto a standard tripod mic stand, with the Rycote on the left, and the K-Tek on the right, capping the 416s with indoor foam windscreens. Both were then hard wired via 25’ XLRs to a Sound Devices 664, with the low end roll-offs disengaged for both channels. I did my best to match the trims (the faders have calibrated onscreen displays), and recorded a two-channel poly WAV file at 48kHz, 24bit. I figured the best way to test its isolation and compliance was to give it a decent, Bart Simpson-style throttling, which I did in three directions: linearly (forwards/backwards), laterally (side-to-side) and a short drop. The recording was done in my "test kitchen", AKA my actual kitchen, so you will hear the gentle murmur of suburban traffic in the background. Both suspensions worked very well, keeping the mics in place while diminishing the majority of the handling noise from my ham-like fists. The Rycote was more compliant, and thus had a greater travel during the shake. As a result, it had more low end rumble, ostensibly from inertia acting on the diaphragm. The K-Tek was more rigid, and did not exhibit the same low rumble; however, it was plagued, in all three axes, by a ticking sound. I have to imagine that it’s the suspension arm shifting against the T-rail. As the Rycote’s Lyres are screwed in, they have little, if any, travel in their mounts. The ticking is a deal breaker, as its frequency lies in a very noticeable range, while engaging a simple roll-off can virtually eliminate low end rumble. The Nautilus is a beautiful, if slightly flawed design. Were it half the price of the Rycote, I’d recommend it as a starter kit, or for low-demand situations (static interviews with a boom on a C-stand, for example). With its current MSRP, other options make more sense. UPDATE: A handful of Nautilus owners has expressed surprise that the unit was noisy, and suggest that might be defective. 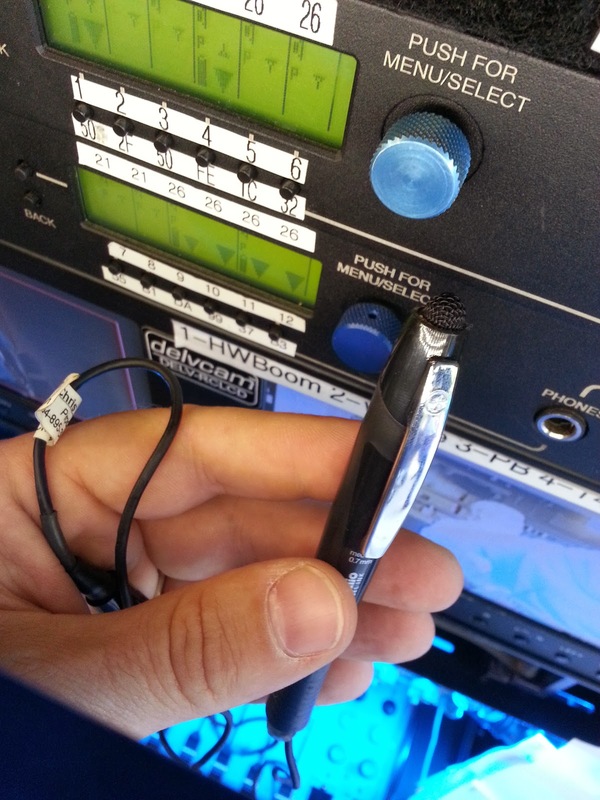 Dave Fisk from K-Tek has offered to exchange the review sample for another. When I receive that, I will conduct another test recording and post a follow up. "On my last show, I was having some problems with body mics and scratchy police officer wardrobe. This mic is great for cast with pockets on the shirt. Cops, scientists, etc… You will need to get together with the wardrobe department to have them cut a hole behind the pocket for routing of the wire to the pack."